You are invited to a personal introduction and exclusive glimpse into one of the University of Essex’s special collections, the Margery Allingham/Philip Youngman Carter Collection. This archive, relating to the life and work of the eminent crime writer Margery Allingham and her husband Philip Youngman Carter, has been placed on permanent loan in the Library by the Margery Allingham Society. 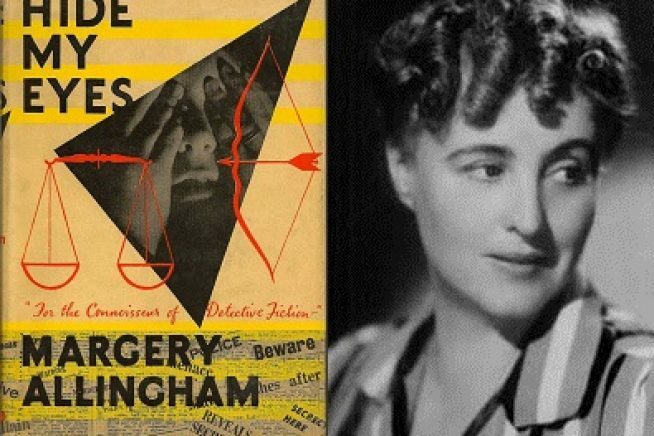 Margery Allingham is one our most cherished Essex authors. Born in Ealing in 1904, she grew up in Layer Breton, was educated in Colchester and Cambridge, and lived most of her adult life in Tolleshunt D’Arcy. She wrote her first novel at 19, and in 1929 (in the novel The Crime at Black Dudley) introduced one of the most famous characters in detective fiction, Albert Campion. From the 1930s to the 1960s Margery Allingham became, along with Agatha Christie, Dorothy L. Sayers and Ngaio Marsh, one of the most distinguished writers of detective fiction’s “Golden Age”, publishing a steady stream of Campion novels, many with an East Anglian setting. She died in Colchester in 1966. Come along and find out more about Margery Allingham and this special collection; 23 metres of archival material and artwork, and around 200 copies of various editions of Margery Allingham’s works. In addition to original manuscripts copies of most of Allingham’s books and stories, correspondence and administrative papers, the collection also includes a large number of paintings and drawings by Youngman Carter, one time editor of The Tatler, who designed the dust-jackets for many of his wife’s books (pictured above). This event opens our Crime & Punishment Symposium on Friday 9 March, and is a little taster of our Golden Age of Crime weekend on 10 & 11 March in Southend on Sea. Visit accessable.co.uk for all disability and access information about Albert Sloman Library.